A Green Court bench directed the Union Agriculture Secretary and chief secretaries of Punjab, Haryana and Delhi to be present on November 15. 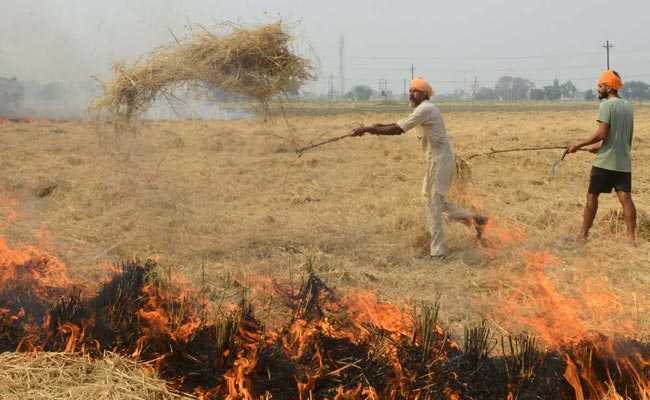 Burning of crop residue by farmers in Punjab, Haryana has been blamed for Delhi's poor air quality. The National Green Tribunal Monday said there was a need to find out a long-lasting solution to the problems of stubble burning and directed the chief secretaries of four states to appear before it to explain ways to prevent it. 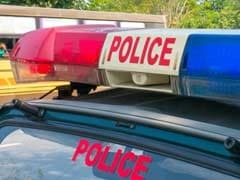 A bench, headed by NGT Chairperson Justice Adarsh Kumar Goel, directed the Union Agriculture Secretary and chief secretaries of Punjab, Haryana, Uttar Pradesh and Delhi to be present on November 15 after applying due diligence and strategic planning for action to prevent crop burning. The tribunal said the government came out with a scheme called the "National Policy for Management of Crop Residue - 2014" which provided assistance to farmers by way of machinery and equipments to avoid stubble burning. However, despite the steps taken, the problem still subsists. "We make it clear that we do not intend to criticise the working of any of the states or the central government. We have perused the affidavits and reports from Uttar Pradesh, Punjab, Haryana, NCT of Delhi and also reports of the Ministry of Agriculture, Government of India. "The fact remains that the problem has not been fully tackled and the adverse impacts on the air quality and consequent impacts on the citizens' health and lives are undisputed. The problem is required to be resolved by taking all such measures as are possible in the interest of public health and environment protection," the bench said. It said that it was not considering the issue of adverse coercive measures like prosecution etc. for offences under the Air (Prevention and Control of Pollution) Act, 1981 or other applicable laws but it does not see any difficulty why such economic incentives should not be duly planned or executed. "We make it clear that the existing Minimum Support Price (MSP) Scheme must be so interpreted so as to enable the concerned states to wholly or partly deny the benefit of MSP to those who continue to burn the crop residue.